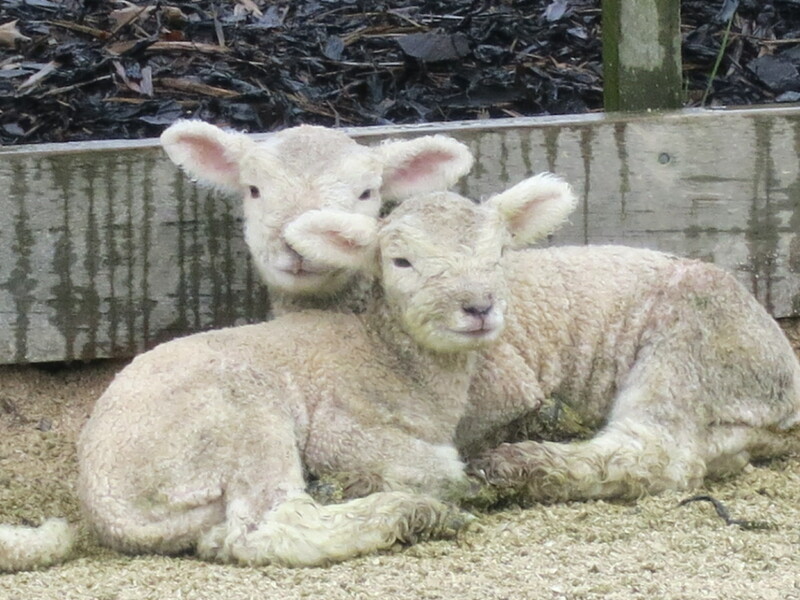 During our time in New Zealand, we’ve slowly made our way south on the North Island. 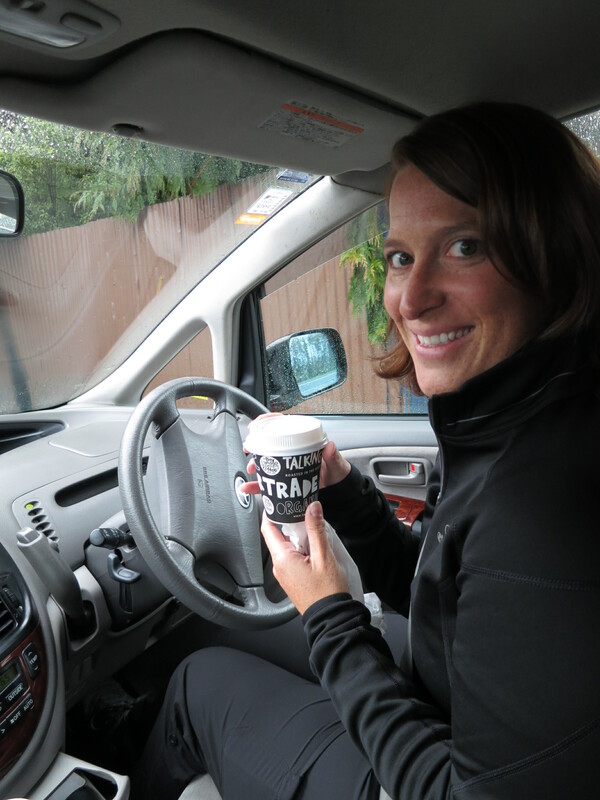 We started in Auckland, the largest city in the country, and now we are exploring Wellington, the nation’s capital. After one full day we can say with great confidence, Wellington is a wonderful city and probably the first city we’ve visited where we could imagine ourselves living. 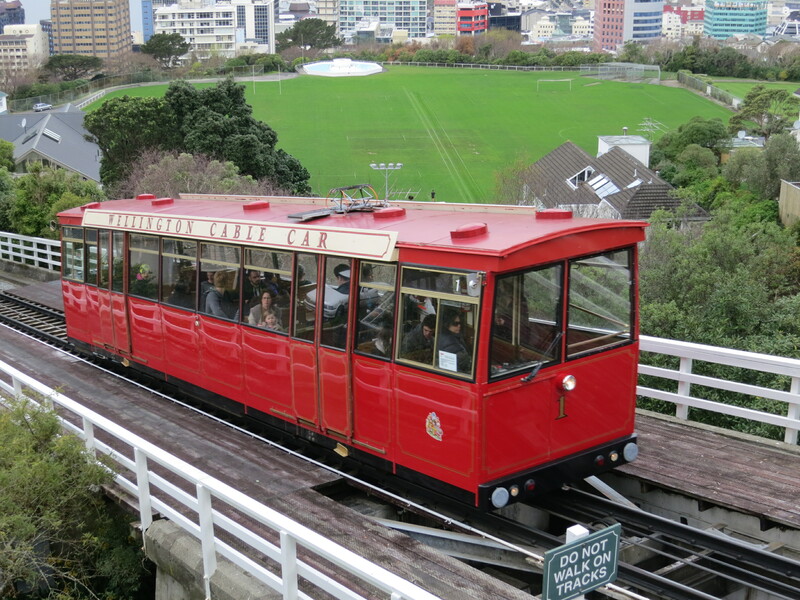 Unlike Auckland, Wellington has character and personality. It has a vibrant pulse and a livelihood that Auckland really lacks. We can’t get enough! 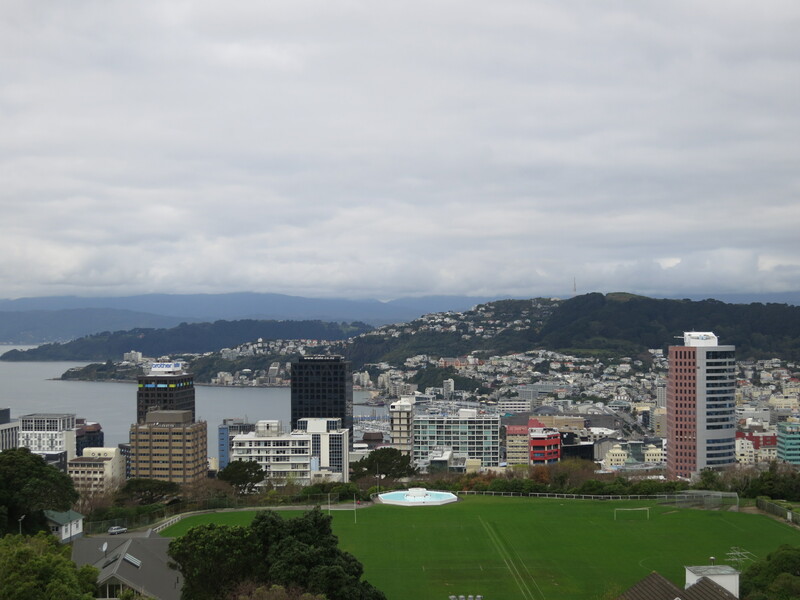 Wellington is a big city, with a very urban vibe, but it doesn’t feel overwhelming or intimidating. Situated on the coast of the Cook Strait and in the hills of the Rimutaka Mountain Range, its winding roads and steep hills are remniscent of San Francisco. Not only that, but the independent shops, restaurants and bars give it a very cool feeling that reminds us of the best parts of the Lower East Side in New York City. We began our day at Te Papa, the National Museum of New Zealand. The new building and modern exhibits immediately impressed us. 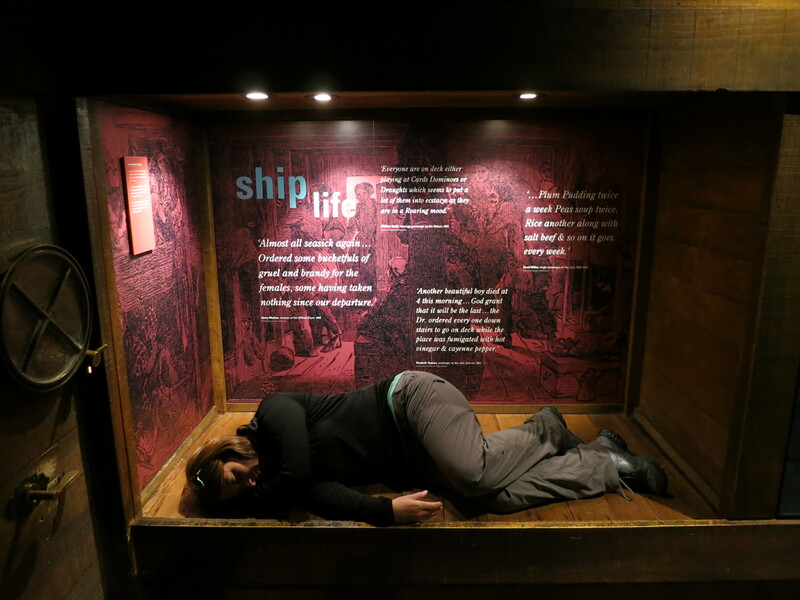 We were especially amazed by the holographic explanation of life on the boats of the Maori people when they first arrived in New Zealand. Another fascinating exhibit taught us about the fight for equality regardless of race, sexuality or gender. Their struggles are strikingly similar to those in America, though in many ways we are finding New Zealand’s ideals far more progressive. For example, they are an anti-nuclear country which caused a split in alliance with the U.S. in the early 80’s. Also, they have a member of parliament who is openly transsexual. Fascinating. 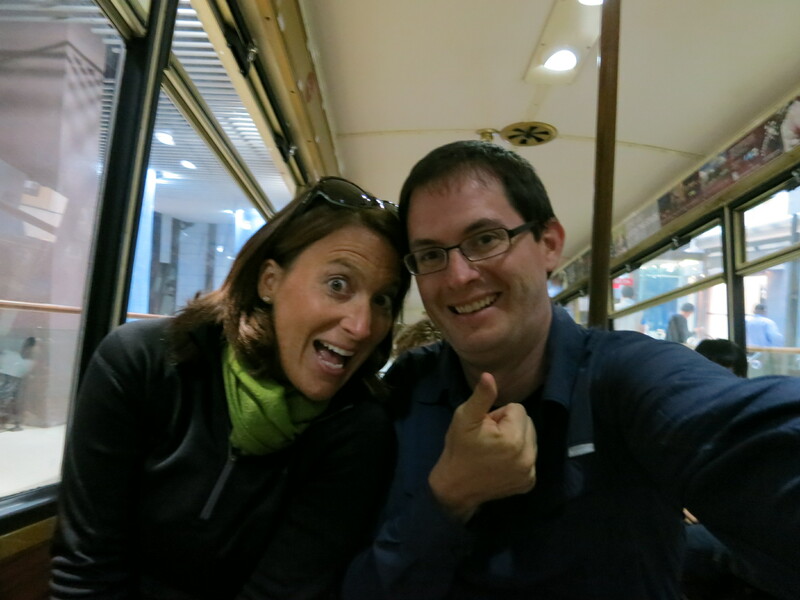 After the museum, we wound our way through the city centre to Wellington’s famous cable car. Because this is such a hilly town, the government decided at the turn of the 19th century to build a cable car to help open up some of the neighborhoods in the hills to the shopping district downtown. It still gets used today by both residents who are heading home or to university and also by tourists like us who want to get a great view of the city. It has a rich history, and visiting the museum at the top was really interesting. The ride was a little freaky because the hills are quite steep, but it was totally worth it. The views from the top are amazing and if you are interested, you can also visit the nearby botanical garden and observatory. After such a busy day, we navigated our way back home using the city’s extensive bus system. When I say “home” of course I mean the home where we are staying. 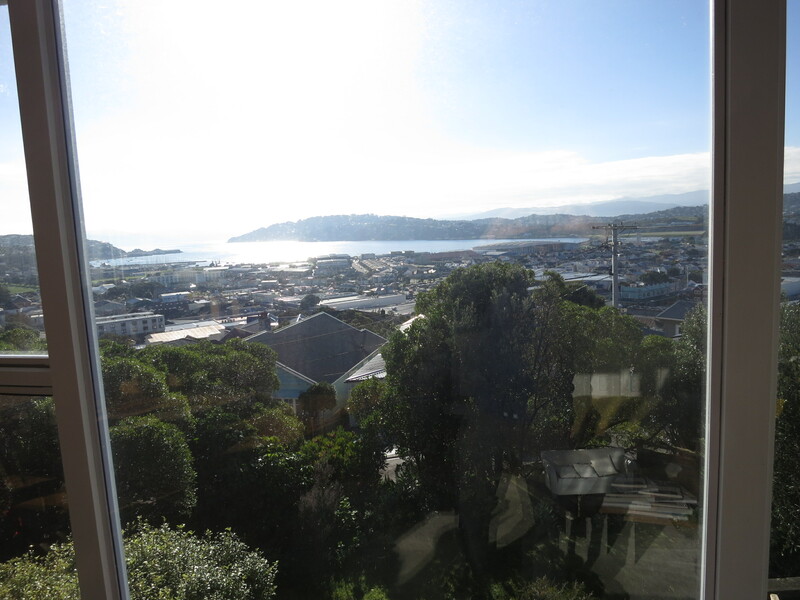 Our stop in Wellington is our first time using Air BnB. This method of finding accomodation lies somewhere between couch surfing and staying in hostels. People who have a room available in their homes post it on Air BnB, and then people can book it like a hotel room (though often for a much more affordable rate). We are staying with Sara and Danny, who have a beautiful home in the hills above Wellington. The views are amazing and they have been super welcoming. Danny and Phil spent much of last night testing each other’s trivia knowledge over a few glasses of wine. There is something really nice about staying at someone’s house, especially when it is as nice as this one is! Plus they’ve ensured us that it is safe to be here in an earthquake because it is a wooden home, therefore it will bend with the motion of the Earth. By the way, did you know Wellington is on a major fault line and regularly experiences earthquakes? We didn’t either! After our lovely day in Wellington, we’ve decided that we need a little more time here. Phil found an amazing vintage/record shop called Vanishing Point and I know he wants to go back. We feel like we’ve only just begun exploring all the cute shops and interesting bars and cafes. Because of this, we are extending our time here for one more day. That is what is so wonderful about this trip. If we hate a place, we leave. If we love it, we stay a little longer. We really can’t go wrong!